Angel Cantin Sanz was born in Valencia in 1971. 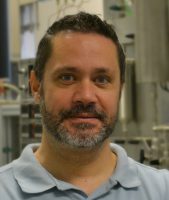 He obtained the Bachelor’s Degree in Chemistry in 1994 at the Valencia University. After, he made a Master’s Degree at the Organic Chemistry Department of the same University supervised by Prof. Antonio Abad. In 1995, he joined the Institute of Chemical Technology (ITQ), inside of the Agricultural Chemical Ecology group, where he carried out his Doctorate in Chemistry supervised by Professors Eduardo Primo-Yúfera and Miguel Angel Miranda. In this work different natural products previously isolated from Penicillium brevicompactum were synthesized as well as several analogs. All of them showed important biological activities against plagues. The Doctorate was finished in 1998 and he moved to Pisa University where he worked with Prof. Gianfranco Denti in supramolecular chemistry. In 2000, he went back to Primo-Yufera’s group during a two years period. Then, he moved to the Avelino Corma’s group inside of the same institution, where he got a permanent position as a technician in 2008. 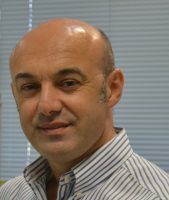 From 2017 he belongs to the scientific staff of ITQ as a Tenured Scientist of the Spanish National Research Council (CSIC). At present, his main research lines includes synthesis and characterization of new organic structure directing agents which provide new porous materials; as well as their utility in different catalytic process. He has participated in several research projects financed by public institutions as well as private companies. He is co-autor of more tan 35 papers in high impact scientific journals and numerous presentations in congresses. Among his most relevant publications, papers published in Nature (2009) and Science (2010 and 2017) can be mentioned. Also, he is co-inventor of 12 patents related to the synthesis of new microporous materials and their application in different industrial processes. Some of these patents have been licensed to industries.